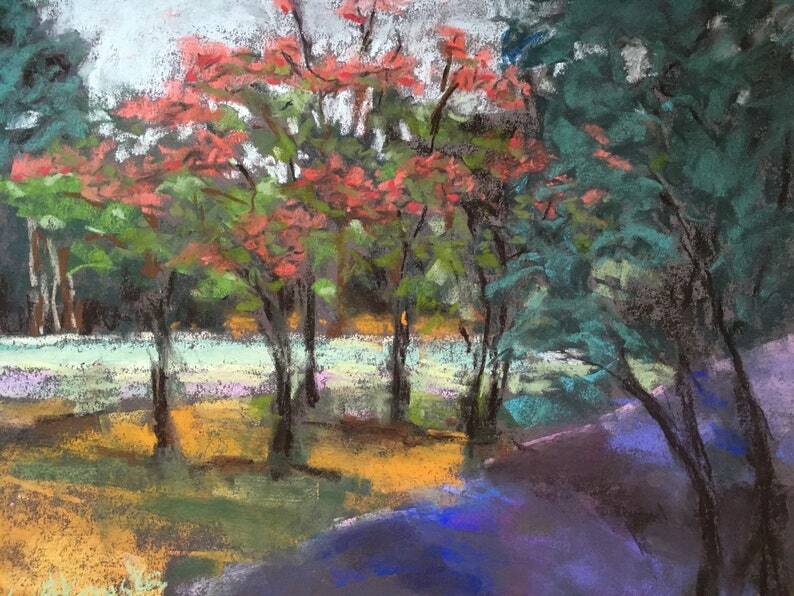 Original landscape painting in pastel by Justyna Kostkowska: Red Fall Dogwood Trees. 12x13 inch. Framed or unframed--you decide.